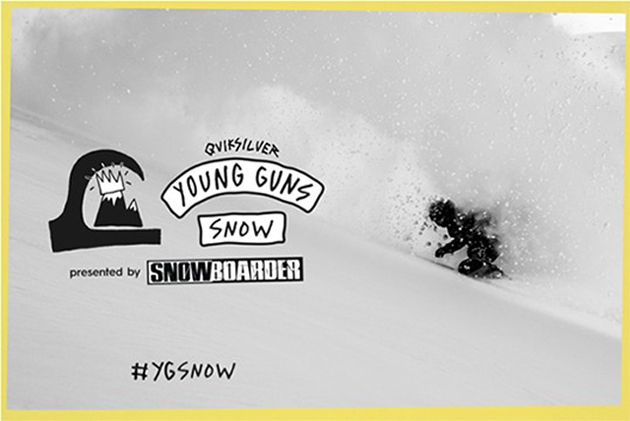 SNOWBOARDER Magazine has partnered with @quiksilver and @bryanwfox for a one of a kind video contest called Young Gun's Snow. The only rule is that there are no rules. It’s just you and your snowboard doing your thing on the hill. Enter as many times as you like by posting your best clips to Instagram and tagging @quiksilver and #YGSNOW. The official #YGSNOW judge, @bryanwfox will choose the shots that get him most stoked. Ten senders will be picked to move to Round 2 for a chance to win a week at Bryan's Signature Session at @highcascade. Need more motivation? How's $1000 bucks cash sound? Best 15 seconds to grace the gram will walk away with the loot. For more info visit Quiksilver.com and check out all the entries below to see how the competition is stacking up.